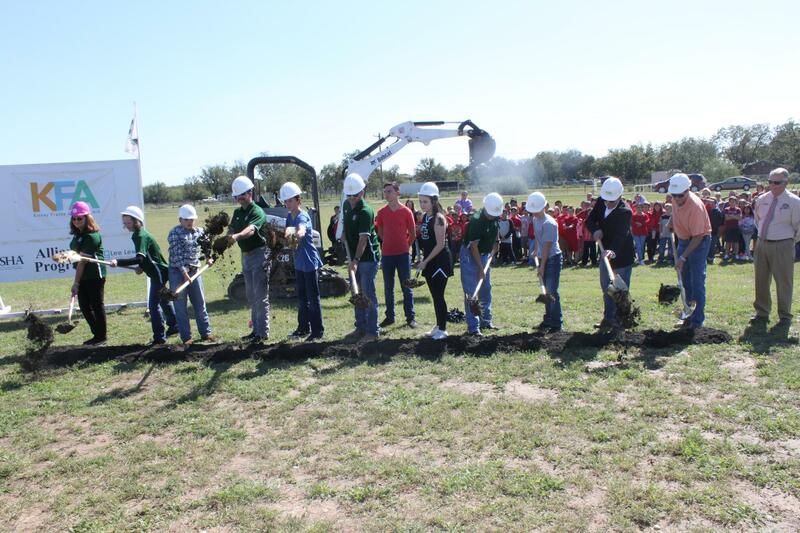 Grape Creek ISD students, faculty and administrators joined their greater community on October 26, 2018, to break ground on a new middle school building. 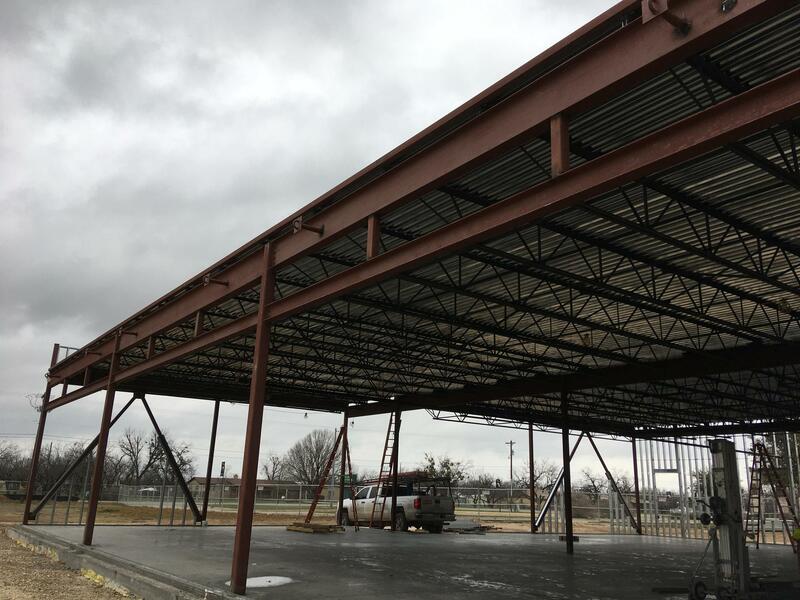 The building project is the result of a $10.75 million bond voters passed on May 5 of this year to construct the new building and renovate the existing intermediate and primary elementary schools. 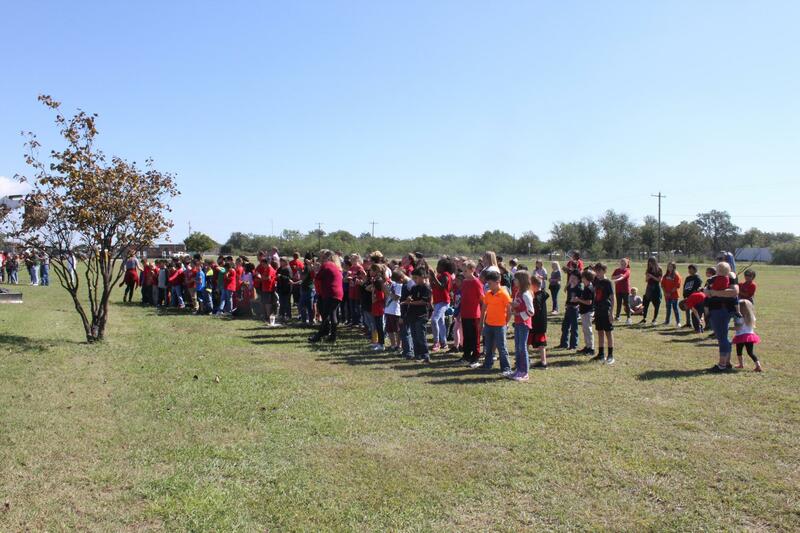 The bond passed on the promise that it would not result in a tax rte increase resulting from bond indebtedness. 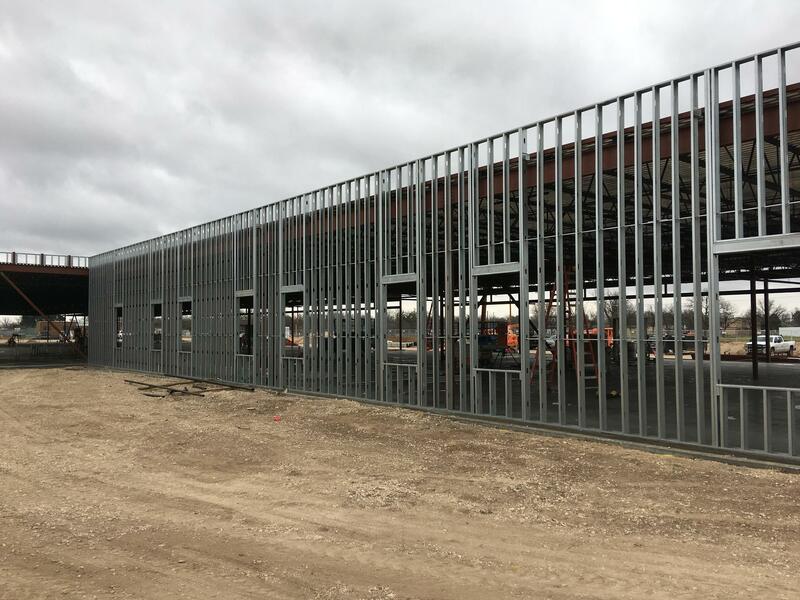 This was possible because the high school bond has three years of debt service payment remaining; however, the District structured the new bond program so the current tax rate meets the debt service requirements of both the outstanding bond and the new bond. 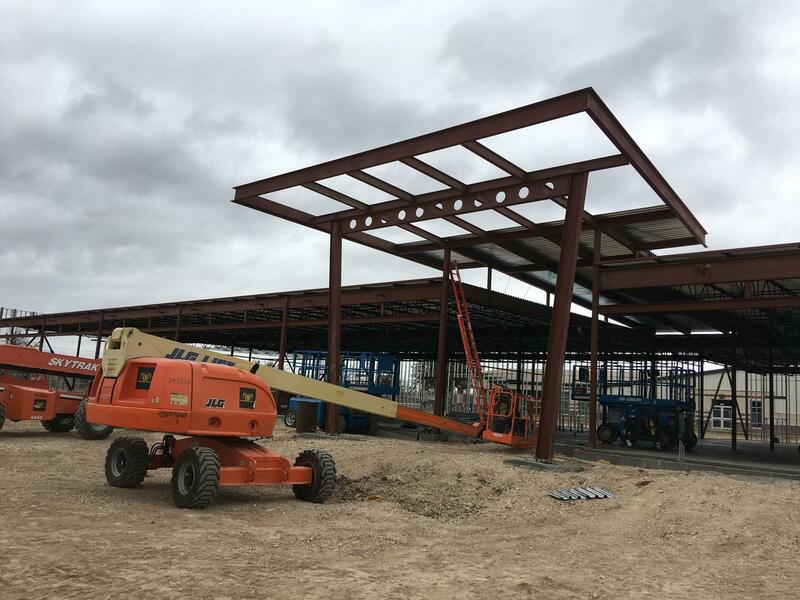 The new middle school will adjoin the high school building on its south side and is expected to be completed by December 2019. 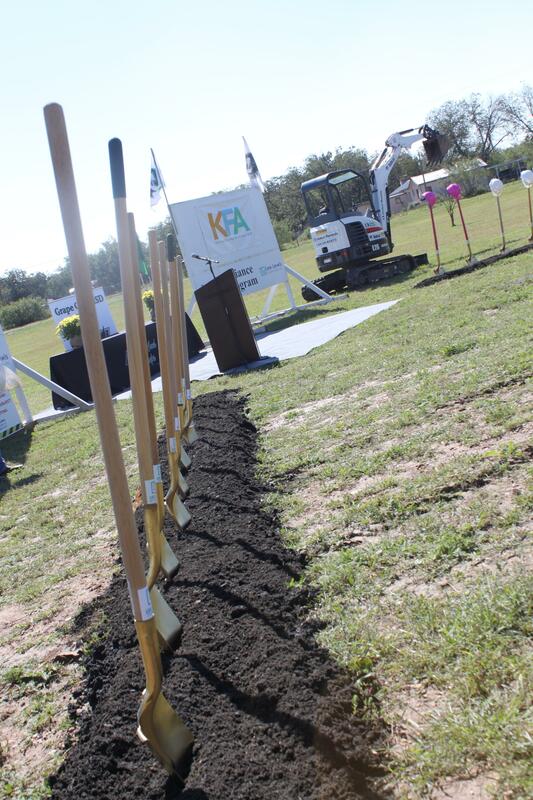 Construction is scheduled to begin immediately on the $7 million project which will include 21 classrooms. 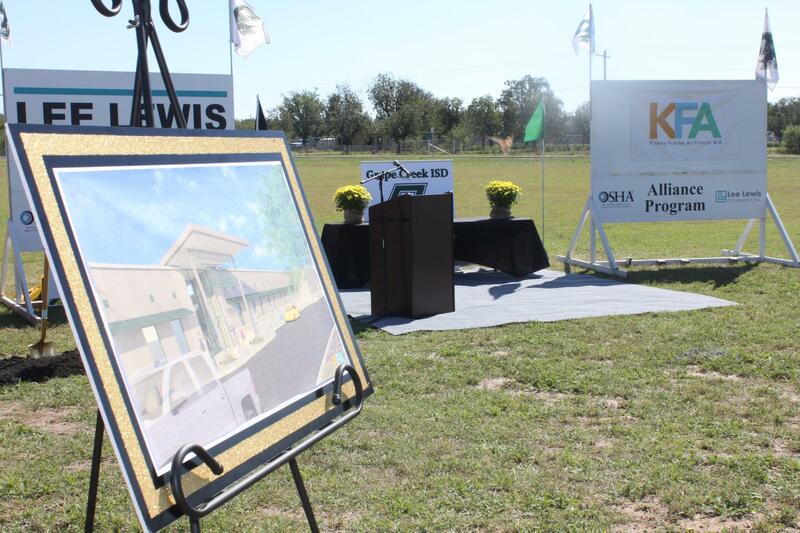 The middle school will share a band hall, cafeteria and gymnasium with the high school. 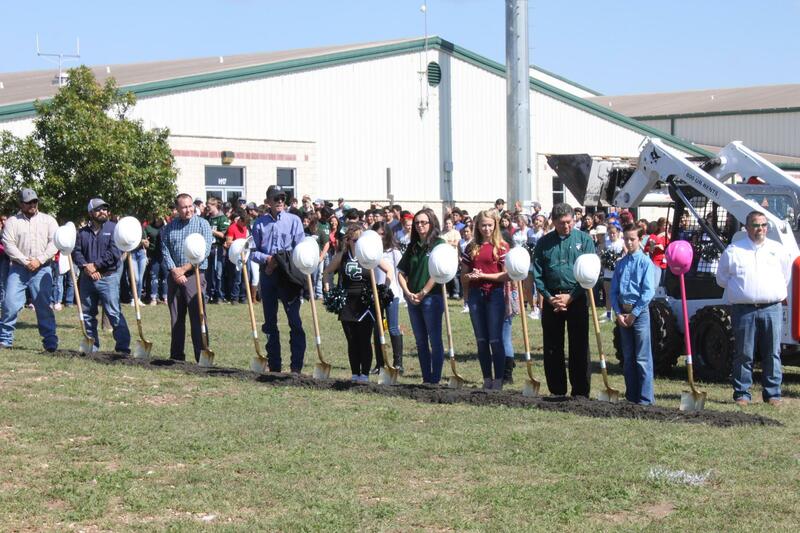 Taking part in the groundbreaking were Superintendent of Schools Angie Smetana; Executive Director of School Operations Leigh Ann Stephens; Middle School Principal Tim Jetton; Middle School Dean of Students Shelly Crimm; Trustees Diane James (president), Fred Contreras (vice president), Mike Diaz, Jimmy Hill, Kacy Doucet and Scott Stephens; Former Board President Tom Walker; Middle School Student Council Officers Jami Valadez, Kallie Coleman, Sevrena Trevino and Violet Sanchez; Middle School National Junior Honor Society Officers Jaiden Jones, Gavin Deremo, Cougar Jetton and Tyler Hill; and Middle School Jr. FFA Officers Hudson Felts and and Jacob May; representatives from local law enforcement, Kinney Franke Architects and Lee Lewis Construction. 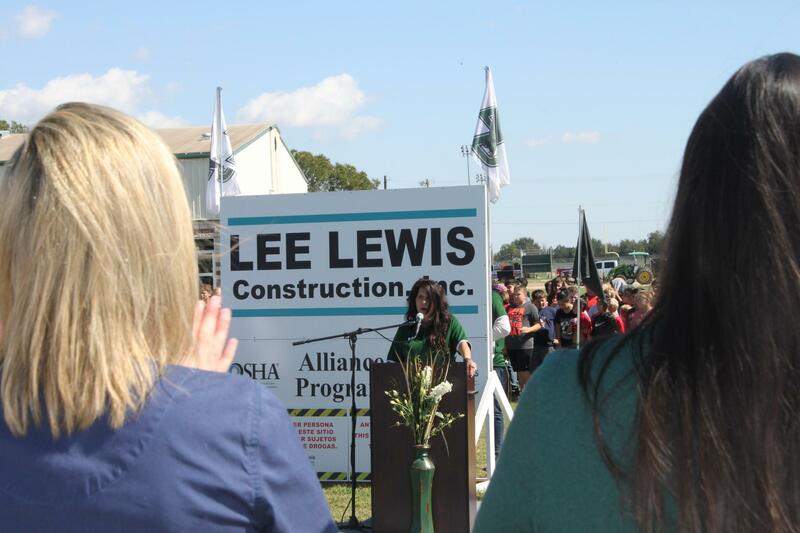 Mrs. Cheryl DeCordova, District Director for State Representative Drew Darby, spoke at the event. State Senator Charles Perry's office was represented by District Director Laura Lewis. Precinct 3 County Commissioner Rick Bacon, a former Grape Creek ISD employee, gave the invocation for the event. 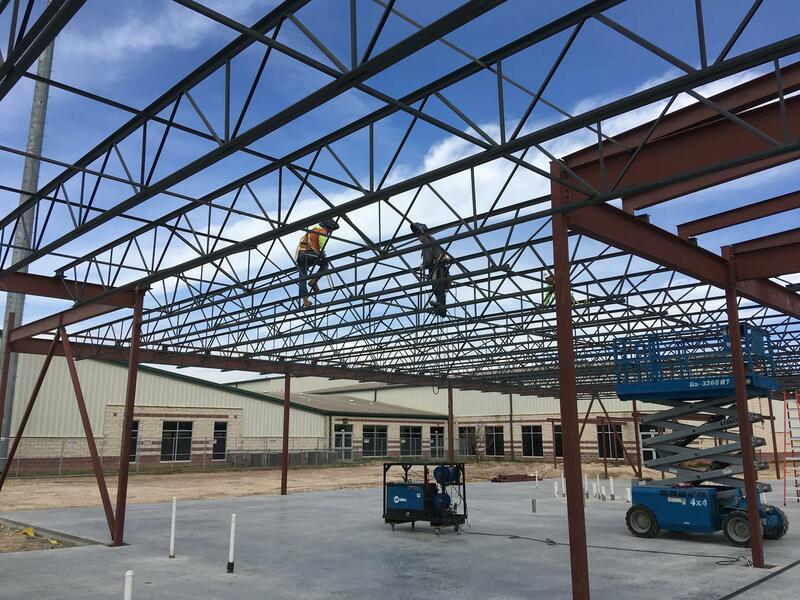 Approximately 61% (unofficial count) of all voters in the Grape Creek Independent School District cast a "YES" ballot to give the District the nod to pursue construction of a new middle school and to renovate the current elementary and middle schools to house primary and intermediate students. The $10.75 million bond will not raise tax rates in the District due to a unique set of circumstances, since the existing debt on the high school will be paid off before the newly-voted bonds will be issued. On behalf of all GCISD students and staff, we want to say "thank you" to all who exercised their right to vote in the election. 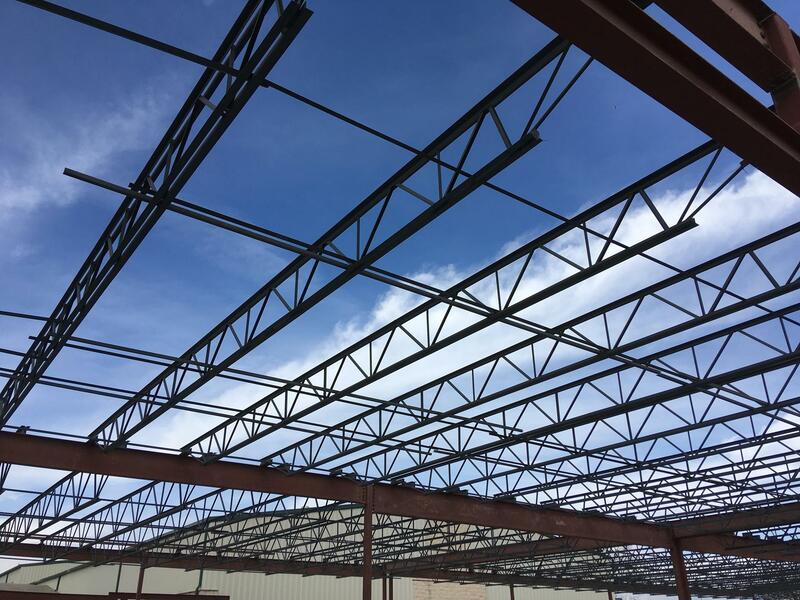 This site has been set up to keep the community abreast of the election and will now track progress toward these construction goals. Check back often for updates! 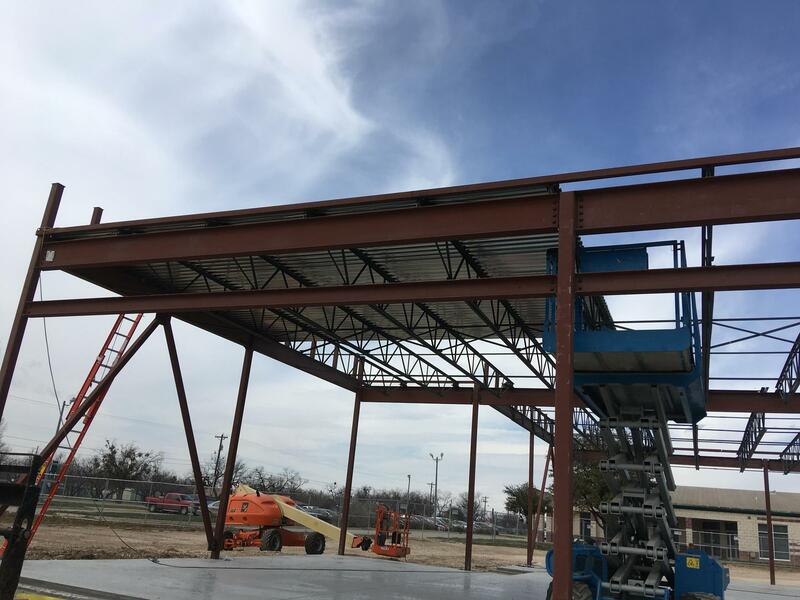 Primary use of bond is for the construction of a new middle school and improvements to the elementary campus which includes the elimination of portable buildings at the elementary campus, currently housing the Intermediate Elementary students (grades 3-5). 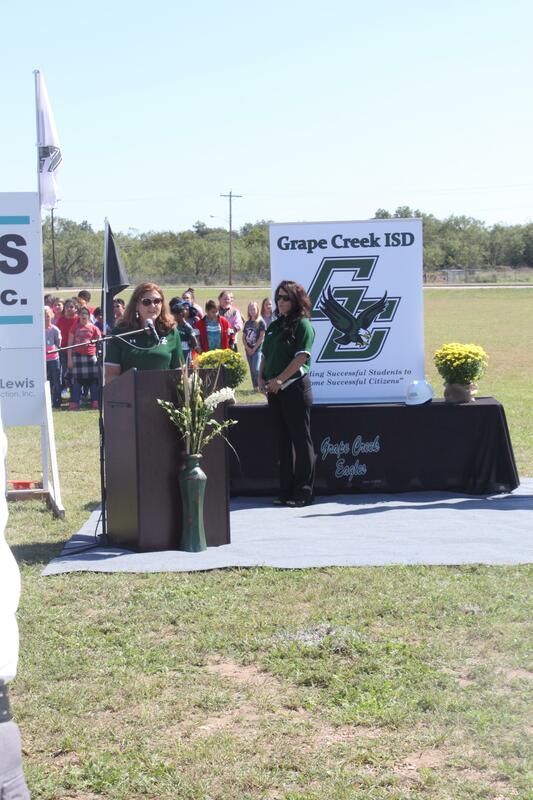 Enrollment at Grape Creek ISD continues to increase. There is limited instructional space at both the Elementary Campus, serving grades Early Childhood through 5th grades, and Middle School, serving 6th-8th grades. We have turned away more out-of-district student transfer requests this year than in years past simply because we have run out of room to educate them. 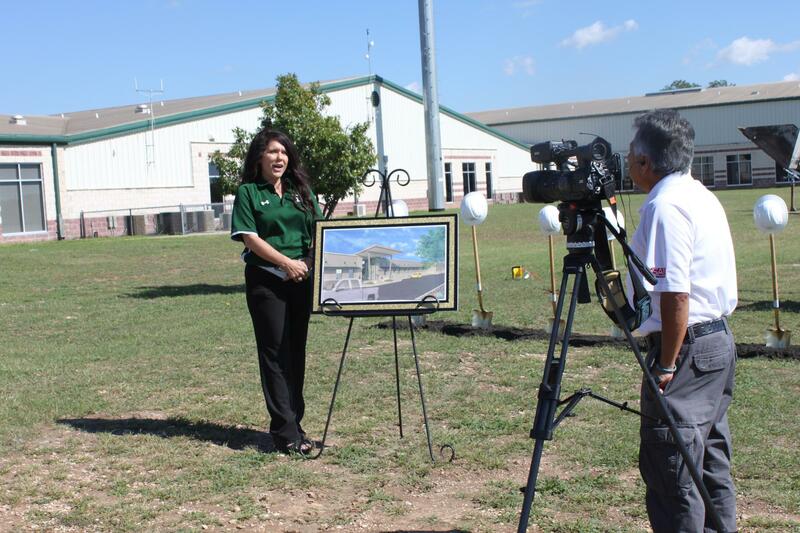 The last improvements to Grape Creek Elementary were made 35 years ago in 1983. 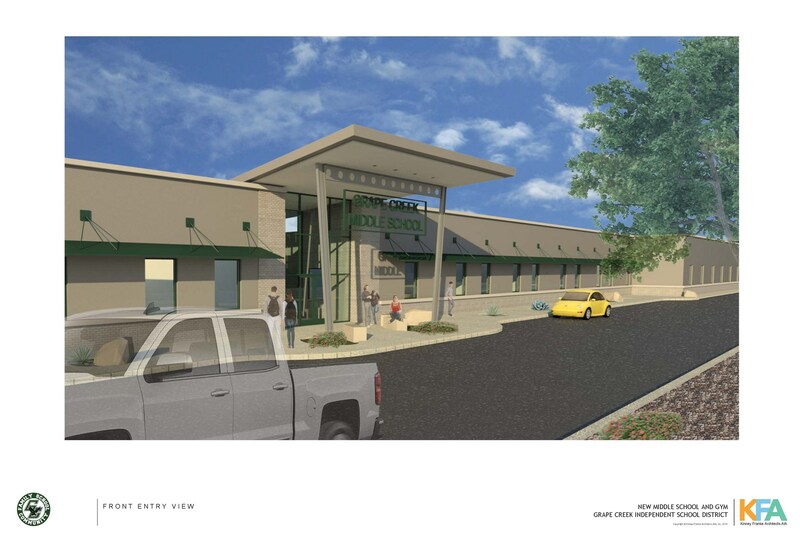 The funds from this bond would provide improvements, district-wide, that follow the planned phases for facility improvement to meet the needs of each student in the district. The school tax rate WILL NOT BE INCREASED if the bond passes, due to a payoff of a current bond issue for the high school campus. 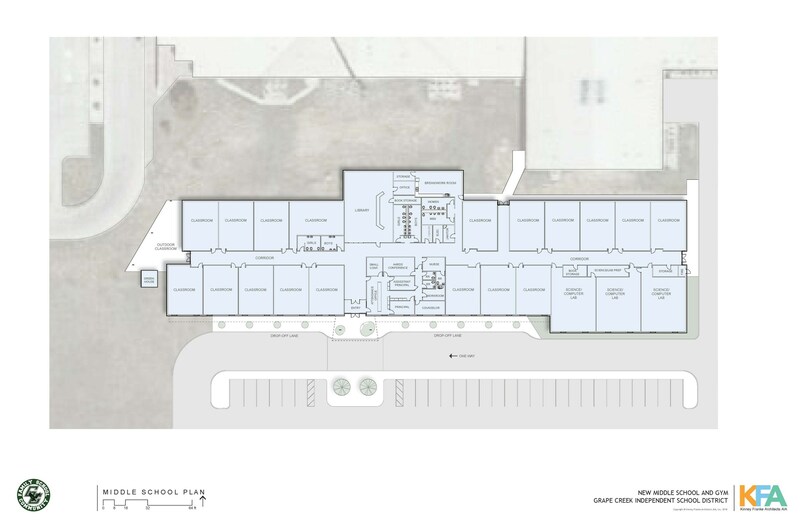 The District is in need of more space to meet the needs of its students, particularly at the elementary and middle school campuses, and to alleviate crowding, update deteriorating facilities and accommodate long-term enrollment growth. 1. Construction of a new middle school campus. How was this Proposal Developed? 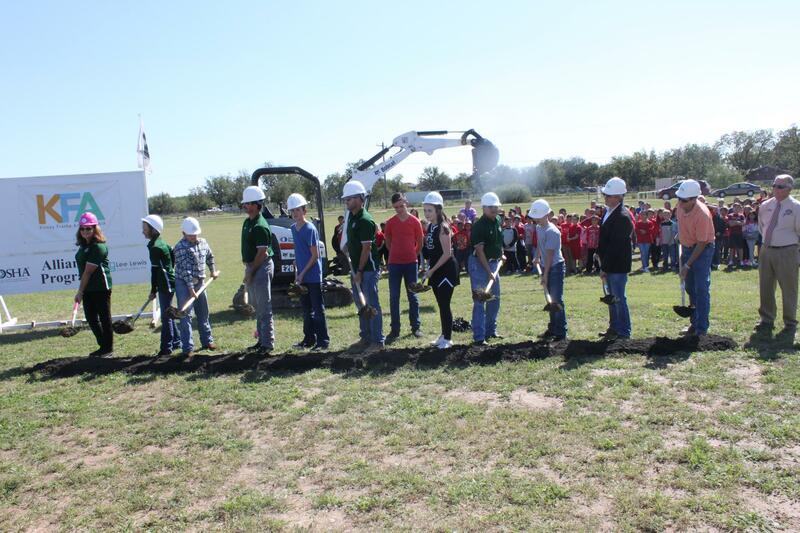 Over the past ten years, the School District has been exploring options to ensure the District's facilities and infrastructure will meet the needs of its students and a growing student population. 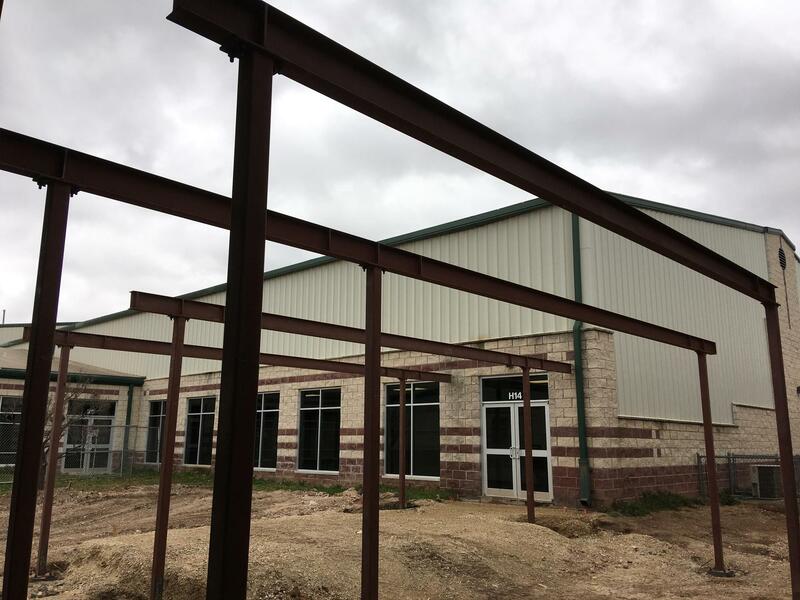 During the process, two committees, comprised of staff, community members, school board members and administrators, accessed the needs of the district and made decisions on the next steps the district should take concerning facilities. In 2016, the Texas Association of School Boards (TASB) conducted a facility study in Grape Creek that focused on the needs of the district. 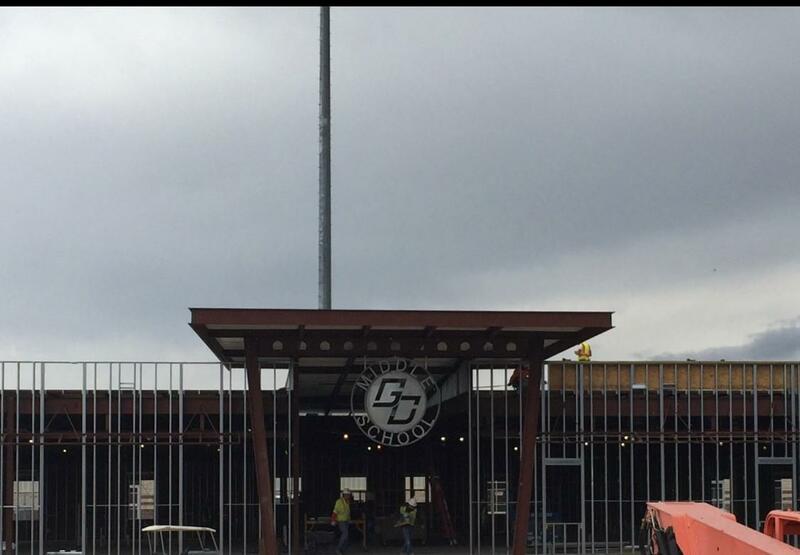 Grape Creek ISD is able to pay for a new girls' field house and boys' field house behind the high school this year with funds already available. 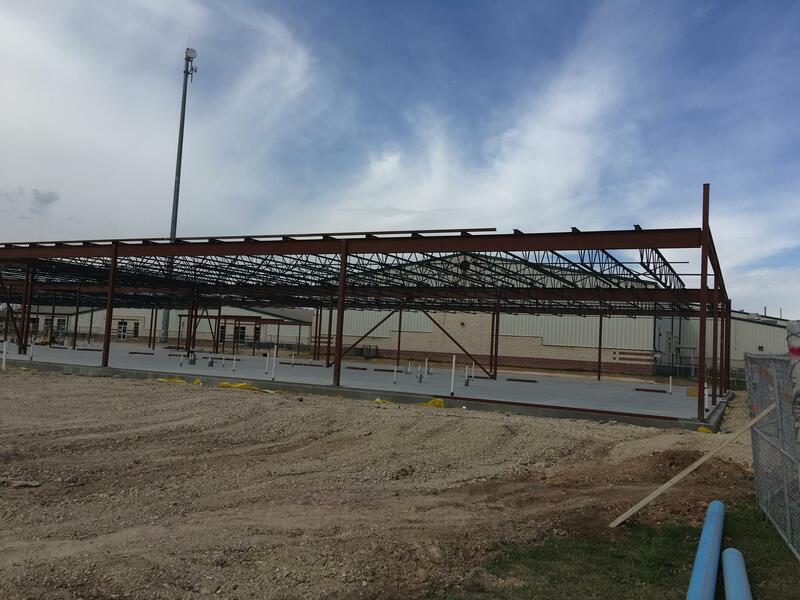 The demolition of the boys' field house and construction of these new facilities are being conducted in an effort to provide a safe environment for our students and to stay within compliance regulations. The link below is NOT related to the bond election in any way, but is provided for your information and convenience only.